When Eddie has to take Uncle Morton's dragons away with him in the Christmas holidays - it's not long before they're causing all sorts of mischief again! Dragon sitting isn't getting any easier for Eddie. A castle, a sneezing dragon and a big box of fireworks. Dear Uncle Morton Your dragons are still here. They have eaten the entire contents of the fridge and most of the tins in the cupboard too. Arthur also swallowed three spoons and the remote control. Mum says they will probably come out the other end, but I'm not really looking forward to that. When Eddie has to take Uncle Morton's dragons away with him in the Christmas holidays - it's not long before they're causing all sorts of mischief again! Dragon sitting isn't getting any easier for Eddie. 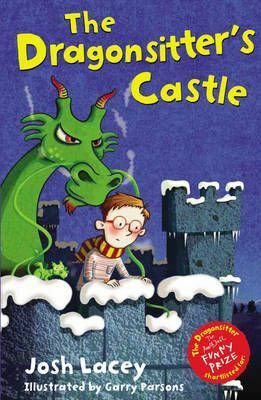 A castle, a sneezing dragon and a big box of fireworks. Looks like the new year is going to start with a bang!